Juvederm is a smooth gel filler used to erase the appearance of fine lines and wrinkles, particularly those around the mouth and nose. The latest Juvederm product, Juvederm XC, is an injectable filler that can produce natural-looking results lasting up to one year. How does Juvederm work to reduce wrinkles? Juvederm XC utilizes Hylacross technology for a more comfortable treatment session. The smooth consistency of the gel infused with lidocaine creates natural results with minimal discomfort. Multiple areas can be treated with Juvederm, such as smile or parentheses lines from nose to mouth, marionette lines in the corners of the mouth, and vertical lines above the upper lip. The hyaluronic acid in Juvederm replenishes volume, lost through the aging process, in the face to reduce the signs of aging and smooths wrinkles and fine lines that have formed over the years. This long-lasting formula offers results that last up to one year so patients look and feel their best with fewer treatment sessions. What is the Juvederm treatment like? Juvederm is administered as an injection in the treatment area. The lidocaine mixture creates a more comfortable experience for patients and side effects are minimal, with the most common being bruising. There is typically no downtime after the injections, and patients can usually return to normal activities after their appointment. Juvederm Voluma XC treatments are also available, and the only FDA-approved filler that treats volume loss and sagging skin on the cheeks. 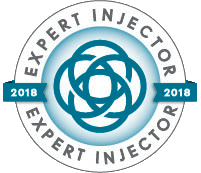 Dr. Haven personally selects and administers the best treatment plan for each patient, and holds a Diamond status with Allergan. 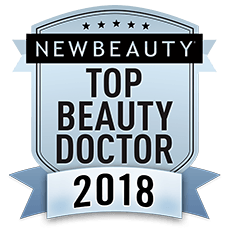 As an Allergan Top 250 Provider, Dr. Haven is the top Botox and Juvederm injection specialist in Greenwich and lower Fairfield County. Learn about other anti-aging procedures such as Botox, Dysport, and laser skin resurfacing.